People often like or dislike a food based on its texture alone–but that usually applies only to eating it. But then again, nobody likes goopy hands. 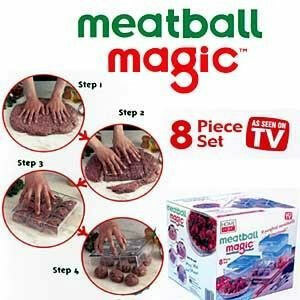 If you want to believe the infomercial, Meatball Magic can help. The idea is to slab down on to the counter a hunk of ground beef, and to cover it with the kitchen gadget. After trimming the excess, roll the whole shebang around on the counter until you get “9 perfect meatballs in seconds”. 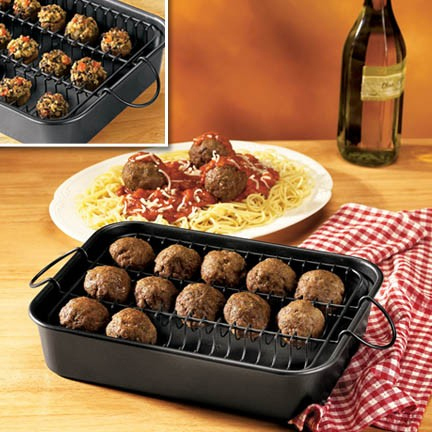 Whether or not it works is up to you to decide, but at least they didn’t name the contraption Meatball Mystery. Somehow meat meets mystery doesn’t have the same ring to it.